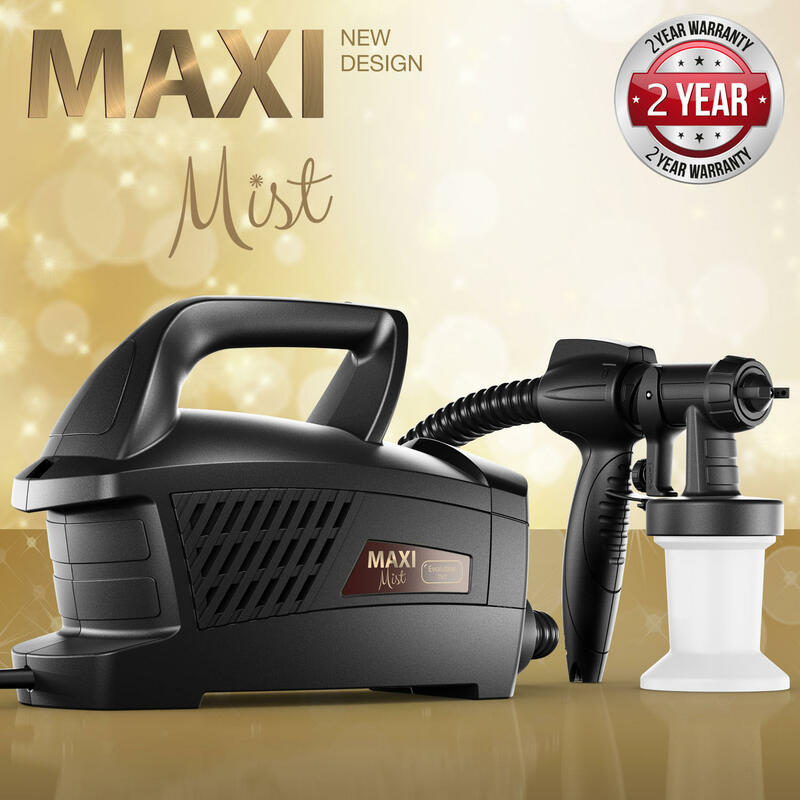 The MaxiMist™ Evolution TNT features a powerful 570 watt 2 Stage Turbine motor, paired with an easy to manage light weight Spray Gun. The German engineered spray nozzle is designed to maximize solution atomization, while providing the least amount of overspray possible. German engineering at its best! The MaxiMist™ Evolution TNT also features a variable speed control that allows you to dial in the exact air flow you need to apply any tanning solution flawlessly. Set at its lowest setting the unit will spray 99% of all tanning solutions with flawless precision while running quieter and cooler than any other unit on the market in its class! Clean Air for your turbine motor is imperative to a long lasting unit. The MaxiMist™ Evolution TNT features a unique air filter that is very easy to access and clean keeping your unit running at optimum performance levels. We even include an extra Air Filter!! 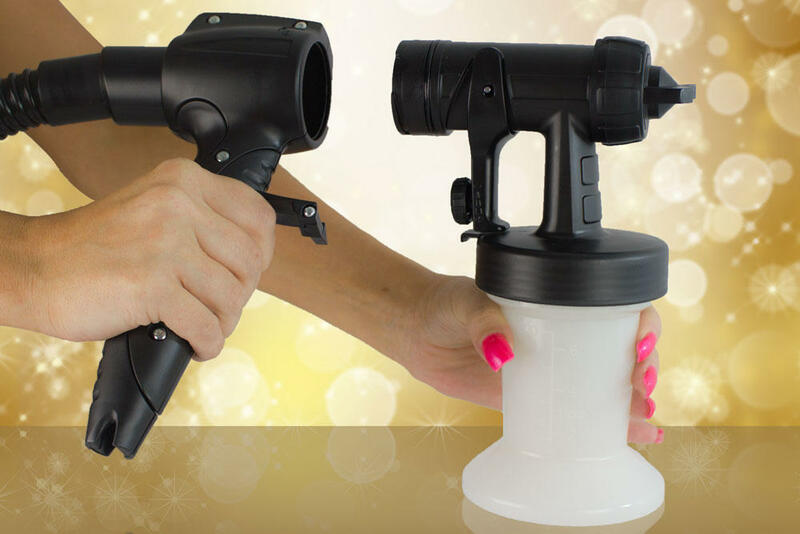 The MaxiMist™ Evolution TNT “Twist N Tan” Spray Gun is super simple to use, extremely lightweight and incorporates a Non-Stick needle to virtually eliminate tanning solution buildup and corrosion, which are the leading reasons for most gun clogs. With an improved ergonomic handle with comfort-grip and a unique patented split gun system, “Twist N Tan” enables fast solution changes for the busy tanner, no fussing with extra cups and lids. The MaxiMist™ Evolution TNT includes 3 Spray heads! Simple adjustments right at the trigger allow you to precisely control the spray pattern and will apply any tanning solution with flawless precision. A quick twist of the Air cap enables a Vertical or Horizontal spray technique. The MaxiMist™ Evolution TNT is packaged with a unique “Conical” bottom tapered cup. This design enhancement eliminates the flat bottom “solution pool dead zone” found in other cup designs. The specialized Conical bottom forces all solution in the cup towards the center where the pickup tube is located; this allows a more flexible range of movement while spraying, as well as optimum tanning solution pickup.